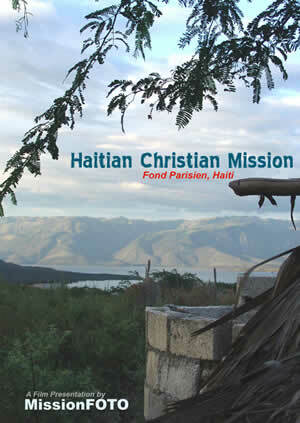 Under the direction of Eitenne and Betty Prophete, HCM provides many valuable ministries to the area east of Port-Au-Prince…schools, medical clinics, a nutritional clinic, an OB-GYN facility, tech training schools, and hope to a people desperate for help. Intending to shoot and produce a documentary/promo film package for HCM, we learned mid-week that five VBS shorts would also be needed to be produced as well. We scrambled the rest of the week having shortages of transportation and limited time. The final edit produced three DVD segments (50, 20 and 10 minutes each) and the five VBS pieces. Certainly the high point of the week for us was interviewing Dr. Maxene. The doctor had been a street kid, when Eitenne found him as a young boy and brought him into the mission. Educated in a Toronto, Canada medical school, Dr. Maxene chose to return to Fonds to care for his people and raise his family.